There was never much doubt that Moto Guzzi’s V85 Concept bike – shown last November – was destined to become a production model. And now we can see what that showroom machine will look like thanks to the early publication of the company’s own patents. The Dakar-inspired styling, which riffs on the firm’s mid-’80s V65 and V75 Baja racers, is fortunately largely untouched. While the front – with its twin, round headlights and prominent frame supporting them – is identical to the concept bike’s, the tank is smaller and smoothed down into the seat, presumably in search of more comfort. The seat itself is also lower, and the side panels beneath are redesigned. At the back, the production bike looks much the same as the concept, with the visible subframe dominating the style. Other changes come down to legislation and costs. The production bike gets a larger, bulkier end can on the exhaust, plus a catalytic converter mounted below the engine. 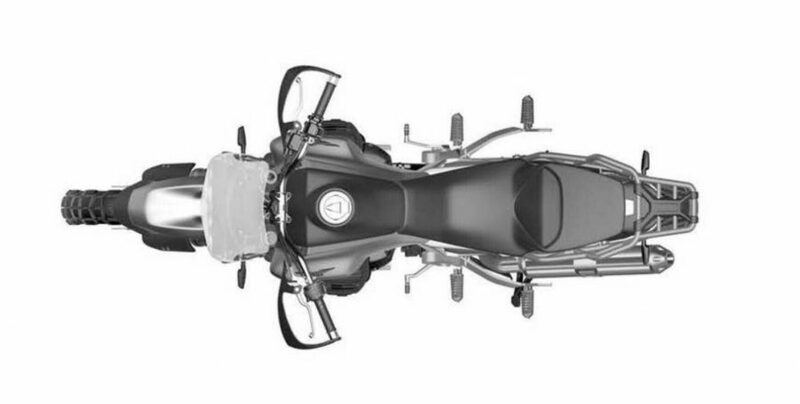 It looks like Guzzi has ditched the concept’s Öhlins suspension. The replacements follow the same design – with an offset single rear shock – but appear to be from a different supplier. The Brembo radial brake caliper of the concept has made the cut, though. 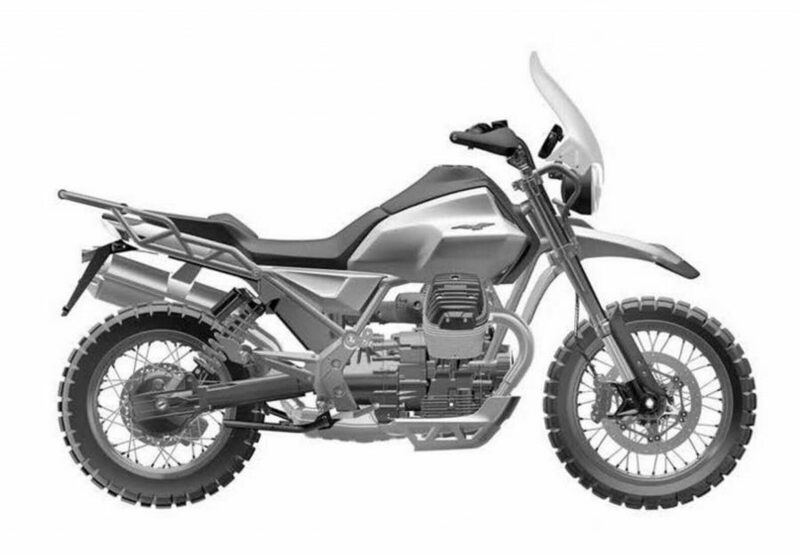 The V85 will surely be the jewel of Moto Guzzi’s 2019 line-up. The 850cc engine is a new generation of air-cooled V-twin, making 60kW and set to power a whole range of future Guzzis. 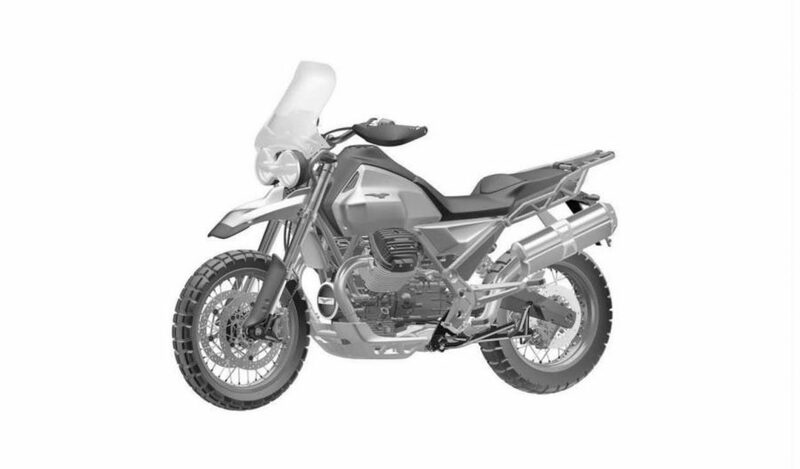 Its size makes the bike a rival to mid-range adventure machines such as BMW’s F750GS and F850GS, not to mention Triumph’s Tiger 800 range, but its air-cooled design and shaft drive set it apart from the competition in that segment, and they could turn out to be the V85’s key selling points.